The DynTec reduction method is one of the techniques available for trenchless pipeline renewal and is particularly suitable for trenchless rehabilitation of gas and water pipelines and sewers. The DynTec method allows pipelines to be rehabilitated with minimal impact on traffic. 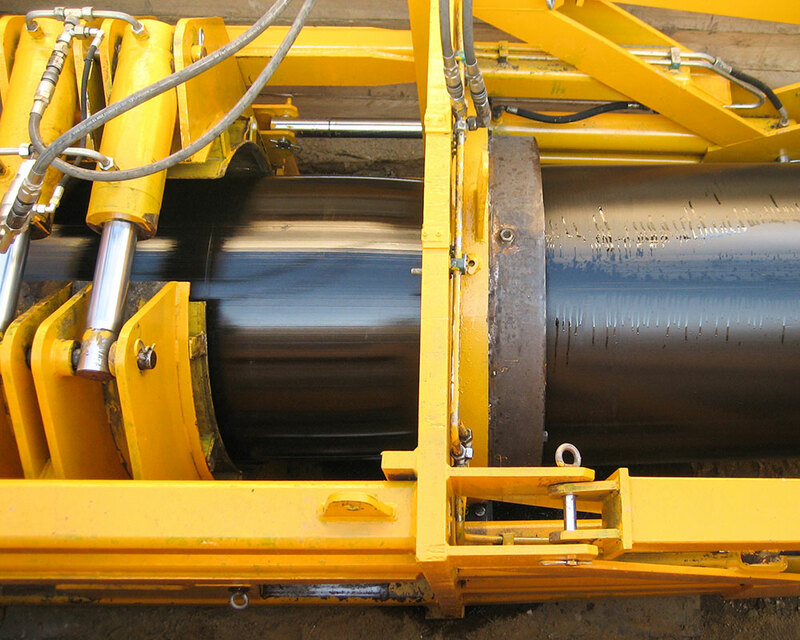 This method is one of the most established and efficient rehabilitation techniques worldwide, allowing existing pipeline infrastructure of any material to be quickly and easily renewed. After cleaning the old pipe, it will be inspected by a CCTV-camera and is being calibrated. Before the new pipe is inserted, the diameter of the PE liner is being reduced by a reduction die. During the entire process, the tensile forces are constantly monitored. When the final position is being reached, the winch is released until the PE liner tightly presses against the inside wall of the host pipe. A permanent close fit is assured by reverting the pipe to its original diameter after insertion. By using DynTec, an annular space and labour-intensive insulation processes can be avoided. DynTec is suitable for all standard pressure levels.